“Customer” means the party identified as the customer to whom Objective may agree to supply Web Hosting Services in accordance with these terms and conditions. 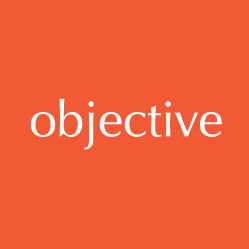 “Objective” and / or “Objective IT” means Objective Computing Ltd, The Old Brewery, 47 Church Street, Great Baddow, Chelmsford, Essex, CM2 7JA or any subsidiary or associated company their sub-contractors agents and licensors as the case may be. “Web Hosting Services” means the provision by Objective to the Customer of facilities to maintain its Web Site on the Internet. “Invoice” means the document sent by Objective to the Customer demanding payment for the Web Hosting Services or any other products and services supplied by Objective to the Customer. “Price” means the charge for the Web Hosting Services. “Third Party Services” means services supplied to Objective by third parties for re-supply by Objective. 2.2 All orders placed with Objective by the Customer for Web Hosting Services shall constitute an offer to Objective under these terms and conditions, subject to availability of the Web Hosting Services and the Third Party Services and to acceptance of the order by Objective’s authorised representative. 2.3 The Web Hosting Services are supplied subject to these terms and conditions to the exclusion of any other terms or conditions of the Customer and any variations or amendments must be made in writing and confirmed by Objective in writing. 3.1 The Customer shall be deemed to have accepted the Web Hosting Services and these terms and conditions unless Objective is notified otherwise in writing within seven days of the commencement of the services. 4.1 The relationship between Objective and the Customer is that of independent contractor. Neither party is the agent of the other, and neither party has any authority to make any contract or make any obligation expressly or impliedly in the name of the other party, without that party’s prior written consent. 5.1.1 to provide a Web Hosting Service to the technical requirements agreed between the parties. 5.1.2 to use its reasonable endeavours to maintain constant availability of the Web Hosting Service. 6.1 In consideration of the Services provided by Objective, the Customer shall pay to Objective charges in accordance with the rates and expenses agreed. Such charges are exclusive of value added tax which shall be payable by the Customer in the manner and at the rate from time to time prescribed by law. 6.2 Objective shall invoice the Customer monthly in advance in accordance with the rates and expenses agreed. Unless disputed by the Customer within 7 days of the date of the invoice, invoices shall be paid by the Customer within 14 days of the date of the invoice. 6.3.2 to accelerate payment of any other invoices submitted to the Customer (whether for Web Hosting Services or otherwise) and demand payment by the Customer of all monies due to it under such invoices with immediate effect. 6.4 If any monies payable by the Customer to Objective (whether for Web Hosting Services or otherwise) become due and remain unpaid for 14 days after the due date of payment, Objective reserves the right to cease the performance of all or any Services (including but not limited to the Web Hosting Service) with immediate effect and until such monies (together with any interest payable thereon) are paid in full. 6.5 The rates and expenses agreed are fixed and valid for a period of one year. 6.6.2 subject to giving prior written notice to the Customer, in the event of a significant variation in the cost of providing the Web Hosting Service. 6.7 Objective reserve the option, if payment is by credit card, to levy a 3% surcharge on amount invoiced. 7.1 Without prejudice to any other provision of these terms and conditions the Customer shall provide all information and documentation available to the Customer and reasonably requested by Objective to enable Objective to fulfil its Web Hosting Services..
8.1 The Customer warrants that it has the right to use all content, materials and trade marks used on the Web Site and holds Objective indemnified against any breach of such warranty. 9.1 Except in the case of death or personal injury caused by negligence or fraudulent misrepresentation, and subject to 9.3, the liability of either party to the other for direct loss (but excluding loss of profits) arising out of or in connection with the Customer’s use of the Web Hosting Service, whether in contract, tort or otherwise, shall be limited to the sum equal to one year’s charge for the Web Hosting Service. 9.2 Except in the case of death or personal injury caused by negligence or fraudulent misrepresentation, in no circumstances shall either party be liable to the other whether in contract, tort, negligence, breach of statutory duty or otherwise in respect of loss of profits, revenue, goodwill, business opportunity, loss of or cost of restoration of data or any other indirect, consequential, financial or economic loss or damage costs or expenses whatsoever or howsoever arising out of the Customer’s use of the Web Hosting Service. 9.3.2 any failure, interruption, bug or virus, or latent deficiency or incompatibility in or of any computer hardware (or associated equipment or components), third party software or server(s) used. 9.3.3 any acts by third parties or the Customer or its staff that compromise or damage the Web Site or corrupt data or transactions held on the Web Site. 9.4 Except as set out in these terms and conditions, all warranties, conditions, terms and undertakings, express or implied, whether by statute, common law, custom, trade usage, course of dealings or otherwise (including without limitation as to quality, performance or fitness or suitability for purpose) or the provision of any services by Objective, are hereby excluded to the fullest extent permitted by law. 10.1.5 by either party forthwith on giving notice in writing to the other if the other party shall have a receiver or administrative receiver appointed over it or over any part of its undertaking or assets or shall pass a resolution for winding up (otherwise than for the purpose of a bona fide scheme of solvent amalgamation or reconstruction) or a court of competent jurisdiction shall make an order to that effect or if the other party shall become subject to an administration order or shall enter into any voluntary arrangement with its creditors or shall cease or threaten to cease to carry on business. 10.1 above, it shall be entitled without further notice and with immediate effect to terminate any other agreement or arrangement subsisting between it and the Customer (including but not limited to the Web Hosting Service). 11.1 The termination of the Web Hosting Services (however occasioned) shall not affect any accrued rights or liabilities of either party. 12.1 If either party is prevented or delayed in the performance of any of its obligations hereunder (other than any obligation to make any payment due in respect of services already tendered) by Force Majeure, it shall forthwith notify the other parties in writing of the nature and extent thereof. 12.2 The parties shall not be deemed to be in breach of these terms and conditions, or otherwise be liable to the other, by reason of any delay in performance, or non-performance, of any of their obligations hereunder to the extent that such delay or non-performance is due to any Force Majeure; and the time for performance of that obligation shall be extended accordingly. 12.3 If the Force Majeure in question prevails for a continuous period in excess of 3 months, either party may terminate the Web Hosting Services on 30 days’ written notice in which case neither party shall have any liability to the other except that the parties’ rights and liabilities which accrued prior to such termination shall continue to subsist. 13.1 Written notice of the dispute or difference in question shall be referred by the authorised representative of the Customer or of Objective (as the case may be) to the authorised representative of the other party. Failing resolution within 14 days thereafter the matter shall be referred immediately to the Managing Director of the Customer and the Managing Director of Objective who together shall seek to resolve the matter within 14 days of the date of such reference. If the parties have not resolved the dispute or difference within this 28 day period, either party shall thereafter be at liberty to commence legal proceedings or to refer the matter to any other dispute resolution mechanism. 13.2 All discussions which take place pursuant to this clause 13 shall be confidential and shall be treated as genuine attempts at settlement and without prejudice to the rights of the parties, and accordingly shall not be offered or be admissible as evidence for any purpose in any legal proceedings between the parties. 14.1 All notices which are required to be given hereunder shall be in writing and shall be sent to the business address of the recipient or such other address in England as the recipient may designate by notice given in accordance with the provisions of this clause. Any such notice may be delivered personally or sent by first class post, fax transmission or email and shall be deemed, unless otherwise shown, to have been served if by hand when delivered, if by post 48 hours after posting and if by telex or fax or email transmission when despatched. 15.1 No party may assign, transfer, charge or deal in any other manner with its rights hereunder, or purport to do any of the same, or sub-contract any or all of its obligations hereunder without the prior written consent of the other. 15.2 These terms and conditions constitute the entire agreement and understanding between the parties relating to Web Hosting Services and supersede any previous agreements, terms and conditions of business, negotiations and discussions between the parties relating to the subject matter. Nothing in this clause shall, however, operate to limit or exclude any liability for fraud. 15.3 If any provision of these terms and conditions shall be held to be unlawful, invalid or unenforceable, in whole or in part, under any enactment or rule of law, such provision or part shall to that extent be severed from them and rendered ineffective as far as possible without modifying or affecting the legality, validity or enforceability of the remaining provisions hereof which will remain in full force and effect. 15.4 Nothing herein is intended to or shall operate to create a partnership between the parties or to authorise any party to act as agent for any other party, and no party shall have authority to act in the name or on behalf of or otherwise to bind any other party in any way (including but not limited to the making of any representation or warranty, the assumption of any obligation or liability and the exercise of any right or power). 15.5 The Contracts (Rights of Third Parties) Act 1999 shall not apply hereto and nothing herein confers or purports to confer on any third party any benefit or any right to enforce any term hereof. 15.6 These terms and conditions shall be governed by and construed in accordance with English Law and each party hereby irrevocably submits to the non-exclusive jurisdiction of the English Courts.